Cooped up in closets, drawers and suitcases, sometimes clothing needs a little more than a run through the laundry to get rid of that damp, musty smell. Try using Concrobium on clothing to eliminate musty smells safely. Non-toxic ingredients mean no skin irritation and no damage or discolouration to your clothing. Try soaking them in Concrobium Mold Control and then allow to dry. Launder if desired. 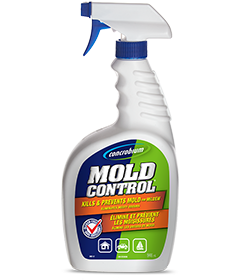 The solution kills mold and mildew, leaving a fresh, clean scent. Clothes and items that are severely mold-infested should be bagged and discarded. Be sure that clothing is completely dry before putting away into closets and drawers. 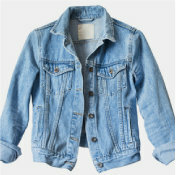 This will limit the amount of moisture on your clothing and prevent mold and mildew from forming.